CDs pay higher rates than savings accounts, but they restrict access to your money. 2. 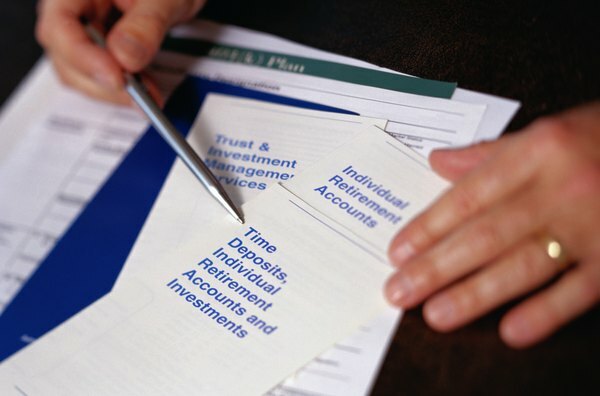 What Is the Difference Between an IRA & a CD? Certificates of deposit, or CDs, pay higher interest rates than regular savings accounts. The differences in these account types involves more than just interest rates. Traditional savings accounts are the primary stable source of cash for most banks and credit unions. CDs are an important secondary cash source, but because of their time frames, banks cannot depend on them for long-term cash. Both account types can be advantageous to you, depending on your savings and withdrawal needs. Savings accounts still function the way they have for decades. You can deposit and withdraw funds at will, with no restrictions. Before the extensive use of computers, banks and credit unions issued savings passbooks, and your financial institution would update them when you deposited or withdrew money and whenever interest was posted. CDs are specific accounts in which you leave money on deposit for a stated term, typically from three months to five years. CDs pay more interest than traditional savings accounts. In return for your promise that you'll keep CD funds at the bank for the contracted period, your financial institution will pay you a higher interest rate. In most cases, the longer the term of the CD, the higher the interest rate it pays. For example, a three-year CD offers a higher rate than a one-year CD. Anticipating future rate increases, banks sometimes offer lower rates for longer-term CDs, such as five-year certificates, than for shorter-term CDs. Regular savings accounts offer easy and unlimited access to your money. You can withdraw funds in person, at automated teller machines or through electronic banking systems. Conversely, you have limited access to your money with CDs. Buying a CD involves your commitment to keep the amount on deposit for the entire term of the certificate. Should you need to get money before the CD maturity date, you'll face early withdrawal penalties, often forfeiting up to three months' interest on the amount withdrawn. Banks reward you for giving up convenient access to your money by paying you better interest. Both savings accounts and CDs offer compound interest features. Accounts with compounding allow you to earn interest on interest, increasing your annual yield. Your yield depends on how often your interest is posted to either account. If a short-term CD only posts interest at maturity, you'll not enjoy a compounding factor on that certificate. However, if your savings account or CD has daily or monthly interest posting, you'll receive the benefits of compounding. If you have money you don't need in the immediate future, a CD, with its higher interest rate, is a good option. For those funds to which you need access, a traditional savings account is probably the best option. Savings account rates will be lower than CD rates, but you'll have the freedom to withdraw money whenever you need it. When you're unsure about your potential need for money, only consider short-term CDs of three to six months. The higher interest rate you receive for longer-term CDs could be lost if you need to withdraw funds early and pay a penalty.